Click the wrench icon on the browser toolbar. Select Import Bookmarks and Settings. Select the application that contains the settings you'd like to import. Make sure that only the checkboxes for items you want to import are selected. If you don't have any bookmarks on your bookmarks bar in Google Chrome, the bookmarks you import will show up directly on the bar. You can also find them by clicking the wrench menu and selecting Bookmarks. If you already have bookmarks on your bookmarks bar, the bookmarks you import will appear in a new folder called "Imported from Firefox" or "Imported from IE," located at the end of the bar. Export bookmarks from any browser as a HTML file and save the file to your computer. Click the wrench icon on the browser toolbar in Google Chrome. Click the Organize menu in the manager. Open your saved HTML file. If you don't have any bookmarks on your bookmarks bar in Google Chrome, the bookmarks you import will show up directly on the bar. You can also find them by clicking the wrench menu and selecting Bookmarks. If you already have bookmarks on your bookmarks bar, the bookmarks you import will appear in a new folder located at the end of the bar. Choose a location where you want your exported file to be saved, then click Save. 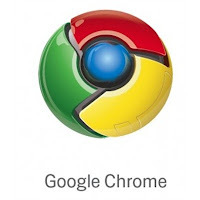 Google Chrome will export your bookmarks as a HTML file.